Hi, my name is Elise Curnow. I am a fully qualified teacher and forever student of yoga in the tradition of Krishnamacharya. I also incorporate ayurvedic practices into my daily life for health and balance. 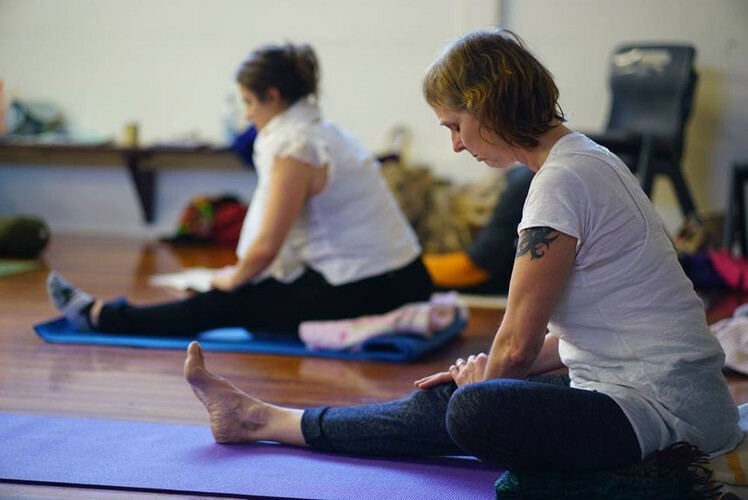 In the class, we explore the tools of yoga including, Asana (movement), Pranayama (the breath), sound (in the form of chant) ending with a relaxation/guided meditation. The aim of the practice is to allow more comfort within the body enabling a more focused and conscious mind state. This encourages a place of stability and clarity from which to make our choices in life. Your capabilities as an individual are respected and catered for by each student being given tools with which to judge and adapt the practice accordingly. If you are a local then your first class with me is free for you to get an idea of what it is this tradition of yoga is offering. For more details on general enquiries, pricing and to book a place please contact me. First experience for locals x 1 free class.